Daniel B. Wolfson is Executive Vice President and COO of the ABIM Foundation. 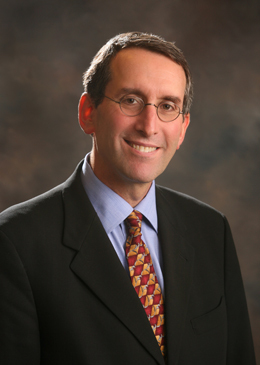 Previously, Mr. Wolfson served for nearly two decades as the founding president and CEO of the Alliance of Community Health Plans (formerly The HMO Group), the nation’s leading association of not-for-profit and provider-sponsored health plans. During his tenure, Mr. Wolfson earned national recognition for spearheading the development of the Health Plan Employer Data and Information Set (HEDIS™), convening the RxHealthValue coalition to provide independent information on the pharmaceutical industry, and co-sponsoring with the American College of Physicians the journal Effective Clinical Practice. Previously, Mr. Wolfson was the Director of Planning and Research at the Fallon Community Health Plan. During that time, he led the product development team that launched the nation’s first Medicare risk contract with the Health Care Financing Administration. Mr. Wolfson received his master’s degree in Health Services Administration from the University of Michigan, School of Public Health.